Nearly half of all North Americans don’t go to the dentist. The number one reason, according to the American Dental Association, is fear. But fear isn’t the only reason. People have busy lives and little time for repeated visits to the dentist. Some don't see the importance of keeping their teeth. And there are a host of other reasons as well. Whatever your reason, or the reasons for someone close to you, know this – you are not alone! SedationCare dentists have seen well over two million patients just like you. Sedation Dentistry is here to help you, as it has so many other patients, safely and effectively get the care you need in a safe and comfortable environment for the best dental experience you’ve ever had. Each patient is unique. SedationCare dentists are trained to provide a myriad of protocols to meet your individual needs. That means that whatever medications you may be taking, dental treatments needed, or the years away from the dentist – there is a safe and effective way to get the smile you’ve always wanted. Sedatives are given to patients a variety of ways, including by mouth, under the tongue, inhaled through the nose intravenously (through the veins). The vast majority of those receiving sedation within a dental office will take the medication orally. In fact, millions of oral sedatives are prescribed by doctors every single day. Do you just need the edge off? Nitrous oxide is an odorless and colorless gas. Dentistry has relied upon nitrous oxide since 1844. Nitrous oxide sedation falls within the mildest category of sedation. Patients may feel tingling or a sense of well-being. However, they remain alert. Once inhalation is discontinued the effects end also, often within seconds. Nitrous oxide sedation carries few if any side effects and produces no known allergic response. For these reasons, it makes a nearly ideal form of anxiety relief in the contemporary dental office. Many SedationCare dentists provide nitrous oxide in combination with oral sedatives. Patients love the benefits of oral sedation. You are responsive the whole time. You can answer questions and open wide! What patients like most, is the amnesia effect. You simply don’t remember the sights and sounds that come with a visit to the dentist. In fact, hours seem like minutes. The teams at our offices take very good care of you too! You’re never left alone and all of your needs are met. SedationCare patients tell us, the next day is amazing - your mouth is totally comfortable, you feel invigorated and you get to show off your new smile. You might have heard oral sedation called 'relaxation', 'sleep' or 'anxiety free' dentistry and is quickly becoming the standard of care in dental practices everywhere. People used to think IV was the only form of sedation. A benefit of IV sedation is the faster onset of the sedative medications, meaning you'll be able to feel the effects more quickly. For those patients who have a fear of needles, IV sedation may not be appropriate unless an oral sedative is provided before the appointment as many SedationCare dentists have been trained. All in all, you have options. You deserve a safe and wonderful dental experience. I’m sure you have more questions. Below are some of the most common ones people have asked us. And you can find more on our FAQ page. Don’t forget to search and reach out to one of our caring and compassionate sedation dentists. Which patients are appropriate for sedation? There are so many options available that most people will qualify for one form of sedation or another. The very young to the greatest generation. It is important the you discuss with your dentist ALL of your medical history and your concerns so the best protocol can be chosen so you can get the best results. Please mention any surgeries, herbals or the possibility of pregnancy. Let’s be safe out there! When it comes right down to it, we dentists are all in the profession of smiles: Big, toothy, sparkling, healthy smiles. And what a wonderful profession it is. Stanley Gordon West, the late Minnesota author of Growing an Inch, coined the expression, “Smile and the world smiles with you.” That’s never been more true, or more necessary than it is today. A smile has no political affiliation. It is not the exclusive province of any class, race, nationality, age or gender. Obstetricians tell us babies display so-called “reflex” smiles in utero. By the time newborns are between six weeks and 12 weeks old – many months before they utter “mama” or “dada” – their first real smiles emerge. It’s nature’s way of helping infants immediately connect to those in the world around them. How very smart nature is – many studies have demonstrated that smiling makes us feel good and actually live longer. Smiling helps lower blood pressure, fight stress, and increase mental clarity. Conversely, the tens of millions of Americans who are hesitant to smile, or never do, because of oral pain or because they are ashamed of their broken, missing or stained teeth miss out on the myriad of physical and mental health benefits of a healthy smile. That’s where all of us come in. As members of DOCS Education and SedationCare dentists, we are uniquely enabled to turn a closed-lipped, unhealthy mouth into one that radiates warmth, self-confidence, connection and, most importantly, good oral hygiene. There are so many reasons to smile; isn’t it time you restored yours? A sedative helps you relax. It’s that simple. They work by slowing the actions of your central nervous system. It’s a major chill! You are aware of your surroundings, but are less responsive to the sound of the drill or the smell of materials and the elevator music. You’ve heard of these kinds of medications. They’ve been used for thousands of years (you can find record dating back to the Egyptian pharohs) because they reduce your sense of pain. You get relaxed and reduced pain senses – bonus! Today's doctor have continually-expanding list of new sedatives to help lessen pain and dental anxiety that are more powerful and less likely to carry unpleasant side effects. One thing you’ll want to note, all medications differ, and there's no one medication that's appropriate for every patient. Some of the drugs take action quickly but rapidly fade in potency, while others last for hours. Your doctor will weigh all the options to make sure you have a safe and wonderful experience. You know this as laughing gas. You breathe it in and it can cause such a sense of ease that even the dentist’s office can make you smile. 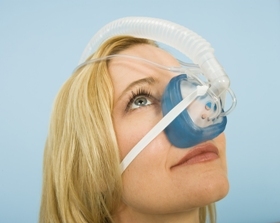 Nitrous oxide is mixed with oxygen for a safe, calming effect. It’s the most popular form of sedation used world-wide! IV sedation medication is delivered through a very small needle placed in either the top of your hand or within your inner elbow just like any out patient procedure you might experience. What if I'm afraid of needles? Most people are. You’re not alone and we understand that. The truth is, many of us are afraid of them too. If its too difficult for you, some dentists may give you a little something the night before. Patients say it feels like a small prick but even that is minimized by the use of topical sedatives wiped onto the skin to numb it. Don’t let it keep you from getting that smile you’ve been dreaming of for years. It makes you relax you and completely comfortable. What’s better than that? No anxiety, no pain. You lie back in the dental chair with your eyes closed and your thoughts far away. You are not actually asleep but you remember the visit like you are. All the while, you open wide and turn just a little this way or that. High quality dentistry is done is less time. It great if you gag or have difficulty sitting for a long time. Once again, those smells and sounds won’t bother you one bit. Your dentist will have optimal control of the amount of medication administered and can easily increase or decrease your level of sedation as needed, quickly and comfortably. It works faster too! Simply call or email the office that you choose. The Sedation Team will answer any questions you have and ask you some simple questions to help ensure you get the care you want and deserve. When you're ready, you can schedule a time that works for you for your welcoming visit. This is when the Sedation Team will gather information regarding your health and discuss with you your wants and desires. If you're comfortable, they will take x-rays and look inside your mouth. But you will never be judged or made to feel embarrassed. Knowledge about oral sedation treatment is not only powerful—it is empowering. It is important to talk to your dentist about your fears and concerns during your consultation before any dentistry is performed. Request information on your dentist’s training, credentials, and the protocols they will use prior to the appointment. It is critical that you provide your dentist with an updated health history including any medications you are on, including vitamins and supplements. Factors like smoking and alcohol consumption can alter the effectiveness of sedation medications, so be sure to tell your doctor about any habits you may have.